Hello and welcome to… Dog Hugs? 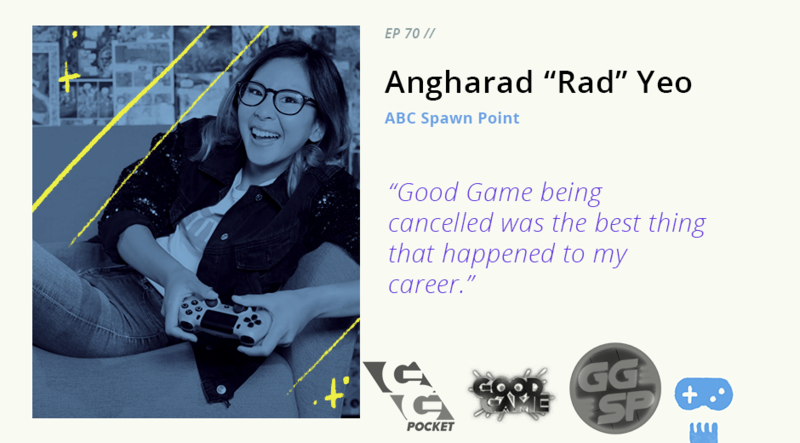 Joining us this week is Angharad “Rad” Yeo, one of the hosts of ABC Me’s Spawn Point! Spawn Point is a (hugely popular in its own right) kids’ spin-off of the hugely popular video games coverage show Good Game, which celebrated its tenth and final year of airtime in 2017. Rad is one of three hosts of the show, and joins our host Jason Imms to chat about life as an ABC TV presenter, her musical aspirations, and her utterly gorgeous dog Boatmeal.